Mikri Vigla webcam (North bay, "Parthena") at Naxos. 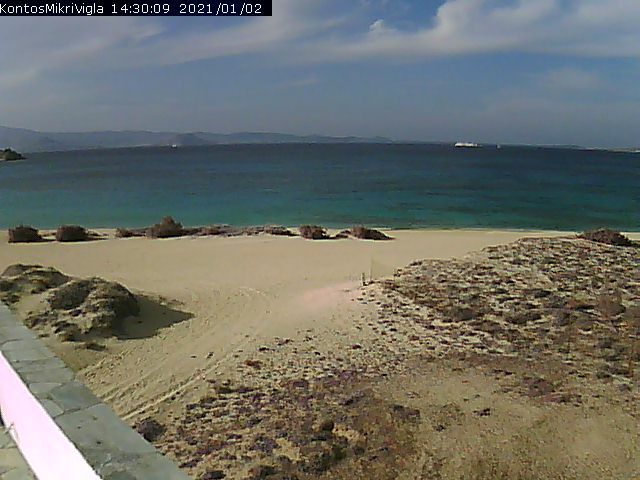 This webcam is hosted by Flisvos kite centre in Mikri Vigla, Naxos. Mikri Vigla webcam: Live streaming video webcam of Mikri Vigla (requires a plugin depending on your browser). Mikri Vigla webcam image with auto refresh, every 10 seconds (if your browser doesn't support live streaming).